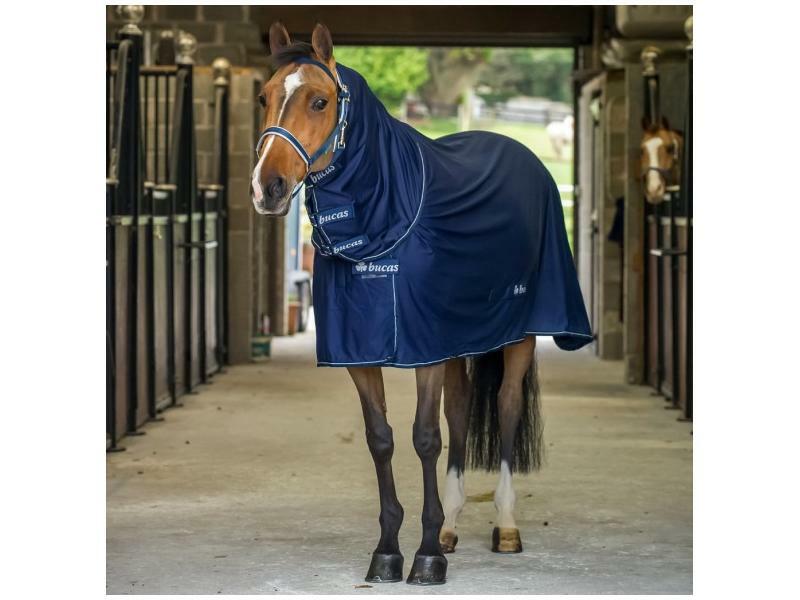 It has a single layer of Stay-dry fabric which wicks moisture away and ensures that the horse is always dry. The Power Cooler is available in two versions, classic cut and full neck and is machine washable. Available as standard Navy and Black. There are currently no questions for Bucas Power Cooler Full Neck - be the first to ask one!